On the sixth day of Martin & Sylvia's Audio Advent Calendar, in the story “Day 6: The Bakers,” Martin and Sylvia aren’t sure the sixth day of Advent is going to be so magical since they are just running errands with Daddy. But when they get to the bakery, they get a surprise invitation that turns their afternoon into sweet fun. Martin and Sylvia have a good time helping out at the bakery and enjoy gingerbread cookies as a reward for all of their hard work — a magical sixth day of Advent, indeed! Do you like gingerbread cookies? I love them. 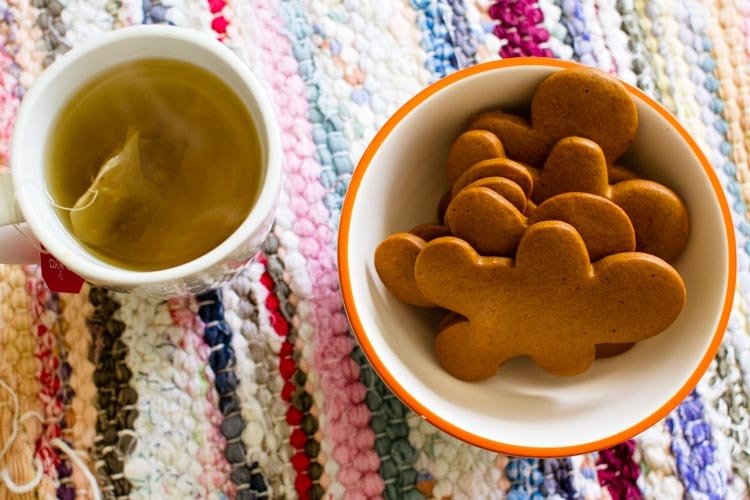 So warm and spicy — they are my favorite treat to pair with a hot cup of tea on an icy winter afternoon. What I don't like about them, though, is that they're a bit of a process to make. 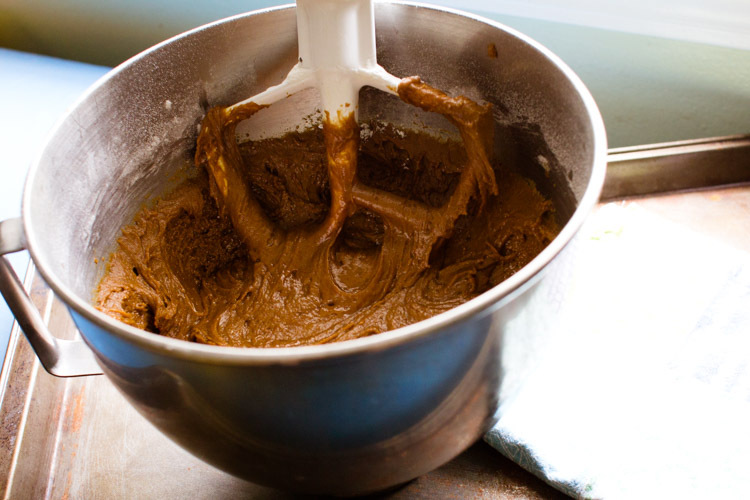 Because you have to chill the sticky dough before every step, a batch of gingerbread cookies can take all weekend. 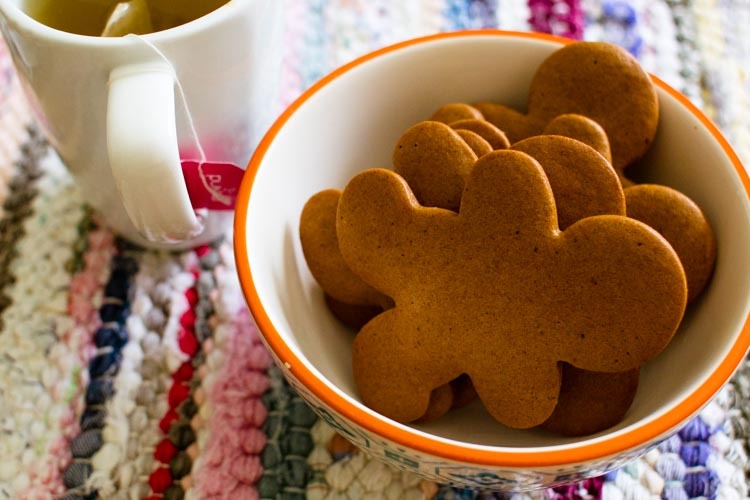 Perhaps as a result, many standard gingerbread recipes make hundreds of cookies. I think the theory is that if you're going to go through the trouble, you may as well make them in bulk. 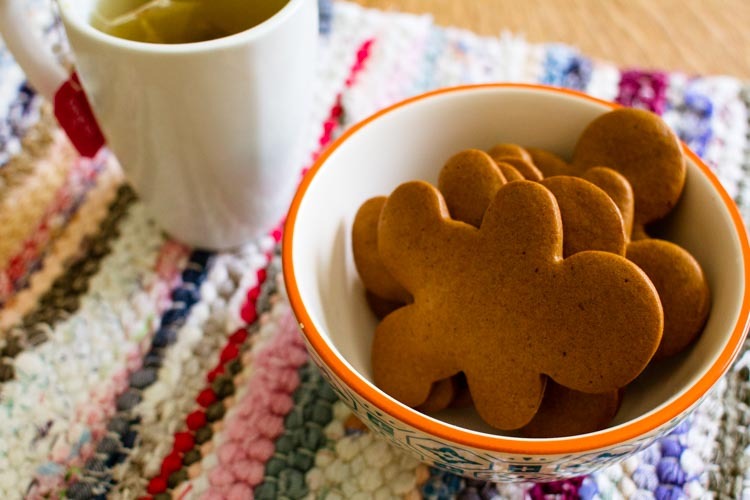 But call me picky — I don't want fifty week-old gingerbread cookies sitting in my kitchen getting stale. I want a dozen piping hot, fresh cookies to enjoy over a day or two. If you're like me, have I got a solution for you! The secret? 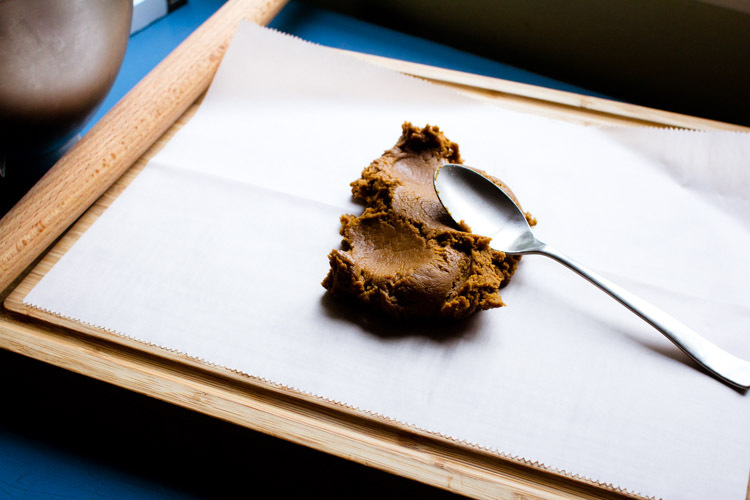 Make gingerbread dough and freeze it in sheets between parchment paper. Basically, you completely prep the dough all at once — chilling it, rolling it out, doing everything but the final step of cutting the cookies out and baking them — and then you freeze it. 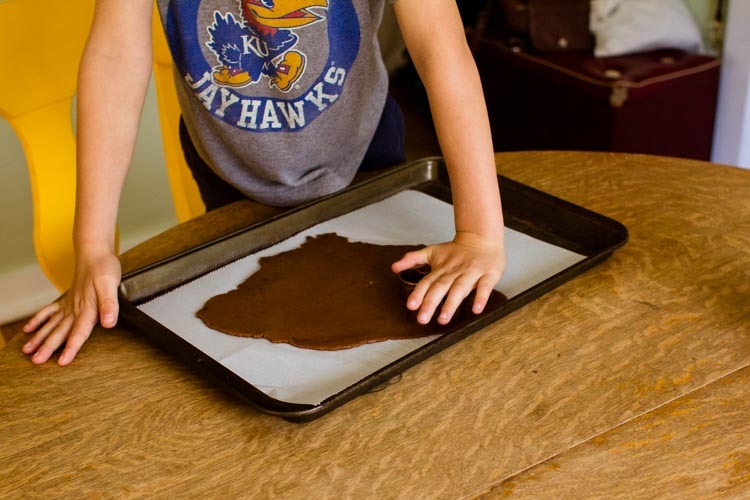 When you get a hankering for gingerbread cookies, all you have to do is retrieve one of the pre-rolled-out gingerbread dough sheets from your freezer, cut out a few shapes, and bake them off. It's a little labor-intensive up front, but it will be worth it when you have fresh gingerbread cookies at your fingertips all season long. It's Advent magic, indeed! 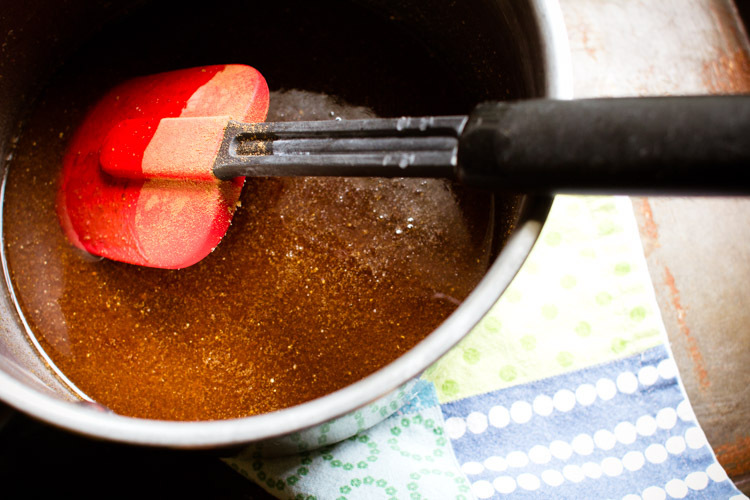 In a small saucepan, melt together the butter, brown sugar, honey, molasses, salt, and spices. Pour the mixture into a large mixing bowl, and allow it to cool for about 15 minutes. Once the mixture has cooled slightly, mix in the egg. In a small bowl, combine the flour and baking soda, then — a little at a time — add them to the liquid ingredients. Once everything is well incorporated, cover the bowl and refrigerate the dough for at least an hour. When the dough is chilled, thwap a few large spoonfuls out onto a piece of parchment paper. 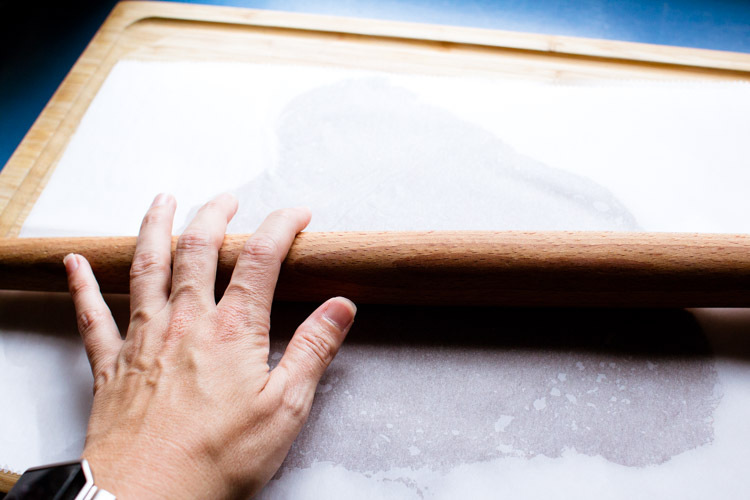 Put a second piece of parchment paper on top of the dough and use a rolling pin to roll it to between ½ and ¼ inch thick. Stack the parchment-paper-and-dough sandwich onto a large baking sheet. Continue in this manner — layering parchment and dough and stacking them on the baking sheet — until all the dough is used up, then put the whole baking sheet in your freezer for 24 hours. 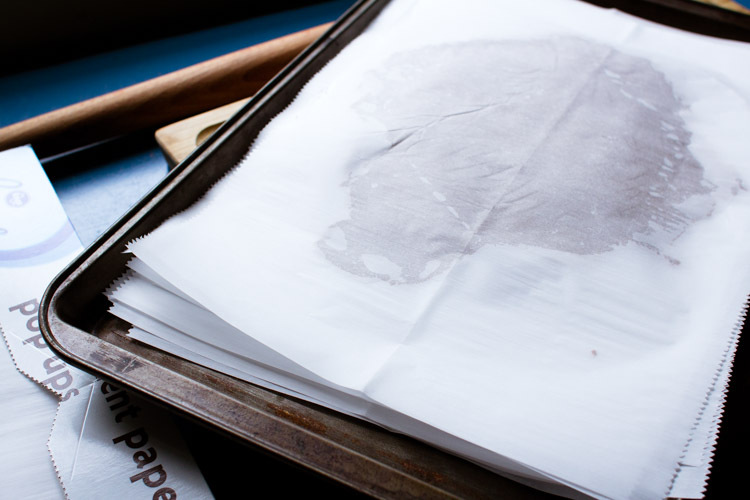 At the end of that time, move the stack of parchment paper and dough into a 2-gallon freezer bag for longer storage. When you're ready to bake, preheat your oven to 350°. Pull one parchment-paper-and-dough sandwich from your freezer and let it sit on a baking sheet for about 5 minutes. You still want it to be quite cold, just not frozen solid. 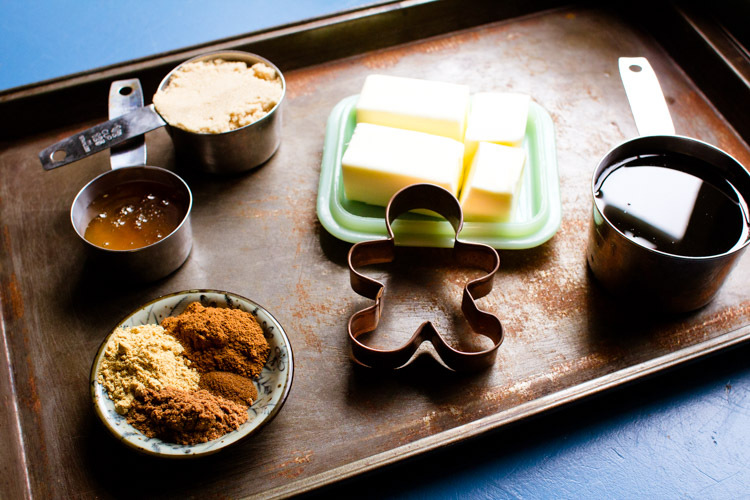 Remove the top layer of parchment, and — working right on the bottom layer of parchment — use a cookie cutter to cut out gingerbread shapes. 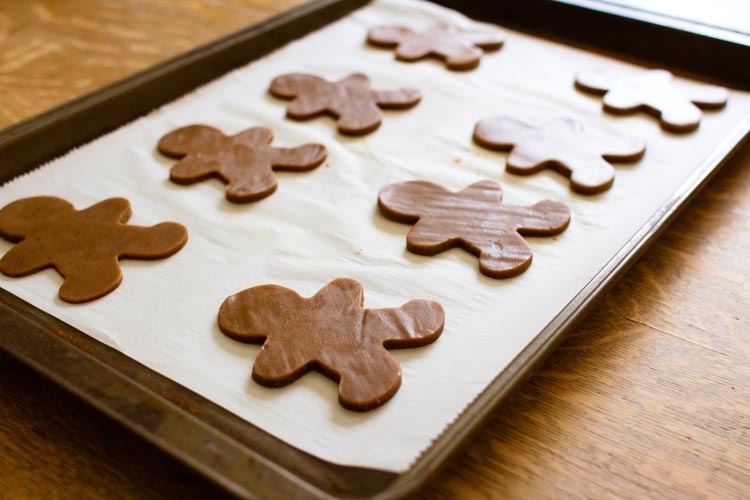 Moving quickly, remove the scraps between the cutouts and make additional gingerbread people if you can. Arrange the cookies about an inch apart on the parchment and bake for 10-12 minutes, or until the cookies start to look firm. Let the cookies cool on the baking sheet for about 5 minutes, then enjoy them while they're warm. Follow the 25 magical days of Advent with Martin and Sylvia! From the playhouse to the library and the Weber's restaurant to the Spunderful Shop, you can spend all of December with the delightful brother and sister as they follow their own Advent adventure.Enjoy a 10 to 25 minute story every day of Advent all the way to Christmas. Listen to a story-a-day for all the days of Advent, starting on December 1st, or enjoy them at your own pace. Be inspired by the crafts, recipes, and activities that Martin, Sylvia, their friends and family engage in during this precious time of patience, gratitude and possibility!The stories in this series are reverent but not religious. The stories include references to traditional elements of the Christian celebration – such as Christmas carols and Christmas trees; beyond that, they simply follow the basic precepts of Advent – which are being patient and watchful. This audio Advent calendar is inclusive to anyone who celebrates Advent, as well as those are open to the festival as a way of honoring a very magical time of year.